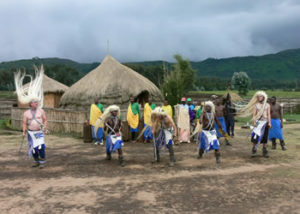 This 6 Days Rwanda Safari includes Rwanda Cultural tour, Gorilla Trekking, trek to Dian Fossey Grave & Lake Kivu tour. 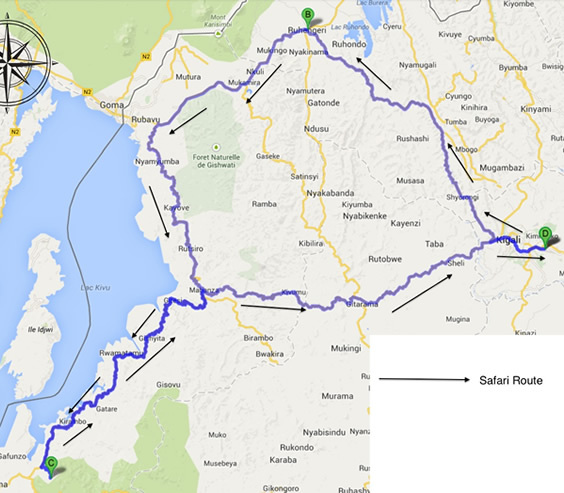 See most of Rwanda in barely 6 days. In the morning, you may opt for a city tour – visit the genocide memorial site, national museum, etc. After lunch enjoys a scenic drive to the Volcanoes national park, home to the endangered mountain gorillas. Day 3: Gorilla tracking and afternoon Nature walk. This morning attend to briefs from the senior park ranger. The tour guide will transfer you to the starting point of the gorilla’s trail along with other trackers. Upon encountering the gorillas, spend at least an hour taking photography and observing their fascinating acrobatics. 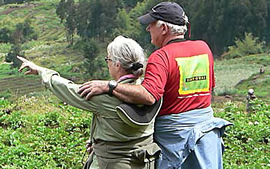 In the morning, you may undertake a hike up to the Karisoke research center, established by Dian Fossey. Learn more about the activities of Dian Fossey of mountain gorilla conservation. 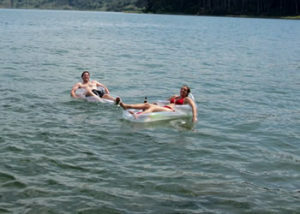 On return, you will transfer you to Lake Kivu. Dinner and overnight at Lake Kivu Serena Hotel(Luxury)/ Stipp Hotel/Paradise Malahide/Waterfront resort (mid-range). Day 5: Transfer to Nyungwe. In the morning after a relaxed breakfast, transfer to Nyungwe with en route stopovers for photography and lunch. Dinner and overnight at Nyungwe House(Luxury) / Nyungwe top view hotel (Mid-range), Gisakura guest house(budget). Day 6: Chimpanzee trekking and Return to Kigali. The 6 Days Uganda Gorilla safari takes you to Bwindi national park, Kibale national park for chimps trekking & Murchison falls national park for great views of waterfalls.